I wish we had an extra room to make into a play room! That would be so cool. It is a wonderful thing to have a playroom, but I assure you it is not necessary. We are fortunate to have one at our old house, but in our current house we have play spaces integrated into our different living spaces and it works great too. We have multiple play areas in our living space. Have you written any posts about your set up? Do you rotate toys in their rooms as well? This is so helpful! 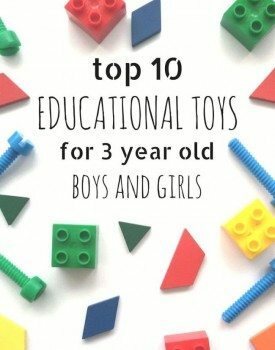 I can’t wait for your toy de-clutter tips… I definitely need that sort of advice 🙂 Thanks for sharing on Toddler Fun Friday! Thanks Tina! I’m so glad you are finding the series useful. I’m excited to share about de-cluttering. I am an organizing dork so it is one of my favorite parts. Thanks for reading! I need your advice. 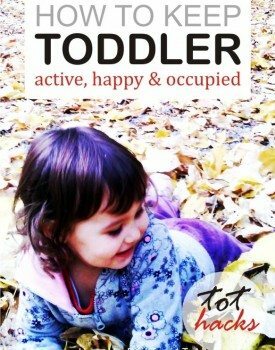 How do I set up a playspace for my 4 yr old who is in a wheelchair? He is paralyzed from the waist down, he can scoot around on the floor or be in his chair. We also have a foster daughter who is 3 but delayed about yr and half developmentally. I have made a number of sensory bins and activities. Our FD is a huge sensory seeker. We have an art table set up that our son can reach in his wheelchair. They share a room and other play area is in the living/tv room. I need ideas. Please help. Wow Marty! What a great question. It is a complicated question to answer without seeing the space or really knowing the kids, but a few things pop into my mind that will hopefully help. The main goal is for both of your kids to be able to play independently. I think you would want two main play spaces either in the same room or different rooms. One with low shelving and an open space so your son can sit on the floor and play. You will want to make sure he can reach everything on his shelves from the floor so he can be independent. I’m picturing a couple of shelves near a floor space for playing where he can move around. I’m picturing a carpet or rug but you’ll want to keep in mind having a firm enough surface that he can build with blocks if that’s something he enjoys. Then you also want some shelving near the table where his chair can fit for activities he can do at the table. The art table might work to double for other things. Tables can work for games, puzzles, Legos, writing, math manipulatives etc so those types of things can sit on / be rotated to a shelf or two that he can reach from and move around from his chair. Since your foster daughter is developmentally so much younger I would try to think of a shelf space that either she can’t reach or in some way private for materials that are too young for her or for projects that he wants to save. 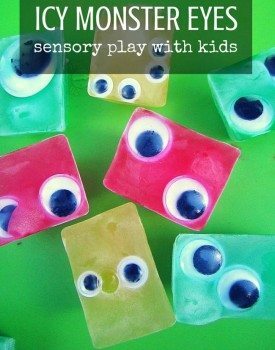 For your foster daughter who loves all things sensory your sensory bins are a great start. 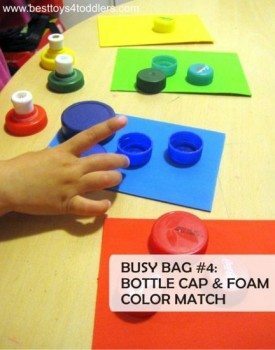 My daughter was similar at that developmental age and I found it helpful to have a combination of messy and non-messy sensory materials on hand at all times. Less messy things like balls or bean bags with different textures, things she could mouth, and books with textures went in our playroom. In our kitchen I kept our sensory bin that I pulled out at least once a day. I had some gallon ziploc bags with sensory bases (sand, dried beans, play do, etc) and I’d pour one base and then add some simple toys (often plastic washable trucks, people, pretend cooking stuff that could get put in the dishwasher). I put it all on the floor with a huge beach towel under it and encouraged her to stay on the towel. The biggest way to keep her happy was lots of time outside. Every child is different but mine needed the space to move and the sensory input of outside for a couple hours every day to be somewhat calm and focused inside. You are balancing a lot! This is getting long so I’m going to stop hear but if I can be more helpful or answer more specific questions please send me an email (erin@bambinitravel.com) and I’m happy to help.